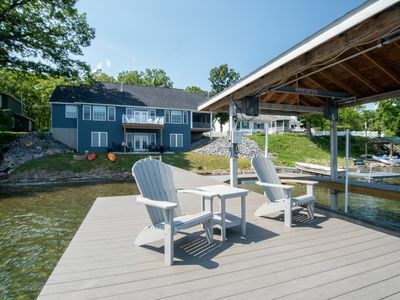 The lovely “Twin Oaks” will immediately put you in relaxation mode on your next vacation! 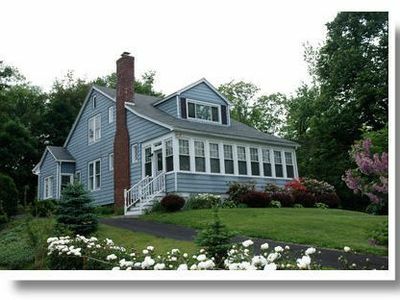 Every detail of this home was carefully selected for your comfort and enjoyment in mind. 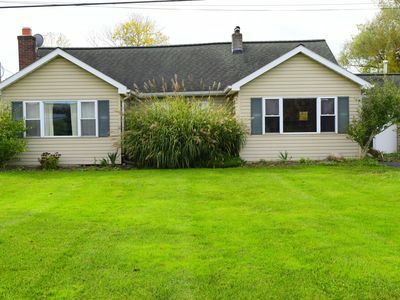 Not only does it have everything you need to enjoy Cayuga Lake and lake living, it is conveniently located to popular restaurants, wineries, shopping, and attractions. Upon entering the home, you will be welcomed into a spacious entryway that leads to the main living areas. The expansive living room is furnished with a new sectional, where you can relax and enjoy the lake view with friends and family. 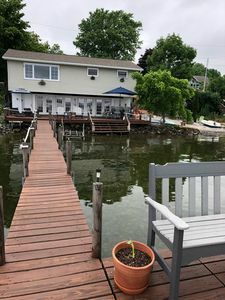 Off the living room is the kitchen and dining room, which has wall-to-wall windows to create a haven for gazing at Cayuga Lake from multiple vantage points. The kitchen is fully equipped to please any chef as they prepare gourmet meals, and ideal for those that want to create their own culinary favorites. 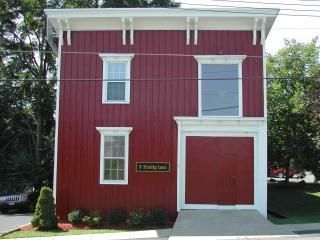 Upstairs are three comfortable bedrooms, two with flat screen TV’s, to get a good night’s rest after your day of play at the lake. 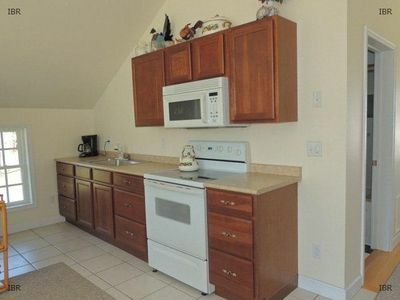 You will also find one of the two full bathrooms upstairs, conveniently located near the bedrooms. 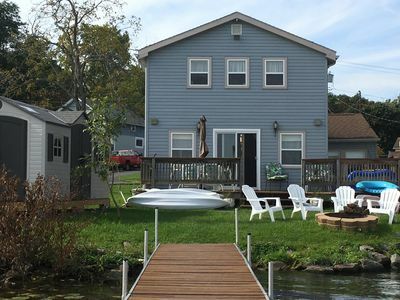 A bonus room in the basement offers additional space to relax and enjoy the lake, as well as additional sleeping on two upscale futons and another flat screen TV. The washer and dryer as well as the second full bathroom is located on this level. 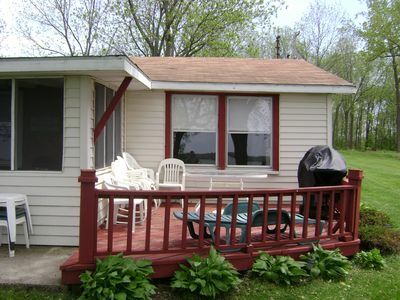 The basement, located at lake level, has a beautiful walk out porch shaded by lush, green grape vines. 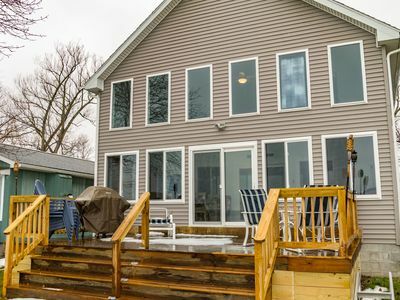 Five steps off the porch lead you directly to the walk in beach, or the dock to take in more lake views or enjoy fishing and sunbathing. 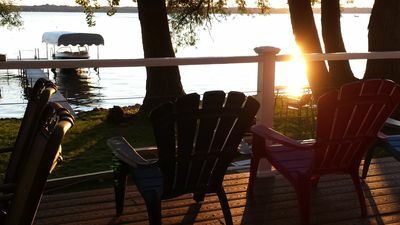 For an evening out, take a 10 minute walk south to the Deerhead Lakeside Restaurant & Bar or enjoy the day at Cayuga State Park. A public launch is available at the park for guests that are bringing their own boat, and a playground and swimming area at the park is ideal for families with children. 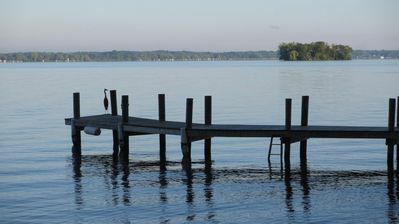 Wolffy’s, a popular grill and marina is a 5 minute drive down Lower Lake Road and highly recommended by area residents. 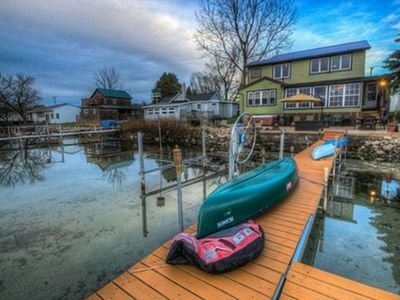 The quaint town of Seneca Falls is only 3 miles away, and has everything you need to complete your vacation. Del Lago Resort and Casino is a short 12 minute drive from Twin Oaks, in addition to the popular Waterloo Premium Outlets. 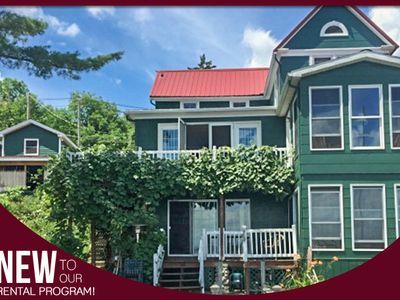 For those who desire sampling the local vintages, Twin Oaks is right on the Cayuga Lake Wine Trail! 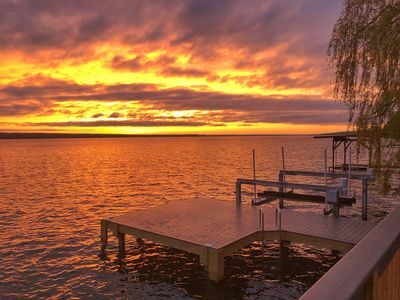 Enjoy the best of the Finger Lakes!! 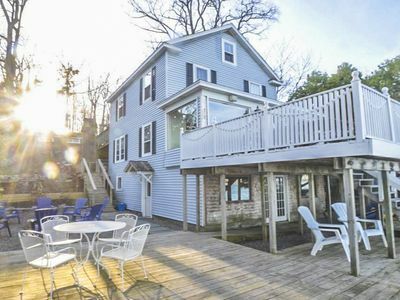 Time to book 2019 before it's gone!! 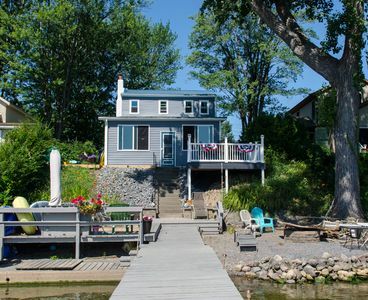 Wonderful Lake House Life: Lakeside Family Living on Cayuga Lake! 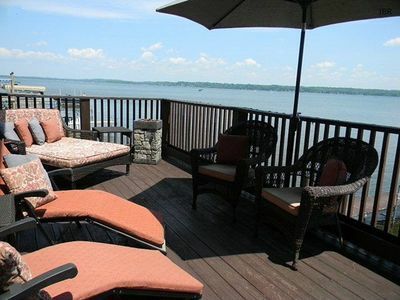 One of the most beautiful spots on the east side of Cayuga Lake.